Over the past years, you have heard me refer to the many stories of the Rebbe, his neighborhood of Crown Heights, and the nerve center of Chabad: “770.” There's a reason why these themes keep on coming up. This is where Adina and myself receive our inspiration in order to fulfill our service and work here in the community. Instead of just hearing about Crown Heights from me, why not join me and the community in a group trip to New York, to where it all began: to the “engine room” of Chabad, Crown Heights, Brooklyn. And a special visit to the Rebbe's resting place. A place where Adina and I go, as well as tens of thousands of others, for a special moment of prayer for our family. Please watch this video >>>>>>>>>>> to see for yourself. 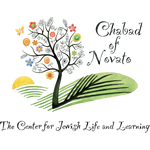 On Shabbat, (May 17-19), against the backdrop of this neighborhood saturated with Jewish life, The Rohr Jewish Learning Institute (known as JLI, the largest Jewish educational group) is organizing an unforgettable weekend experience. 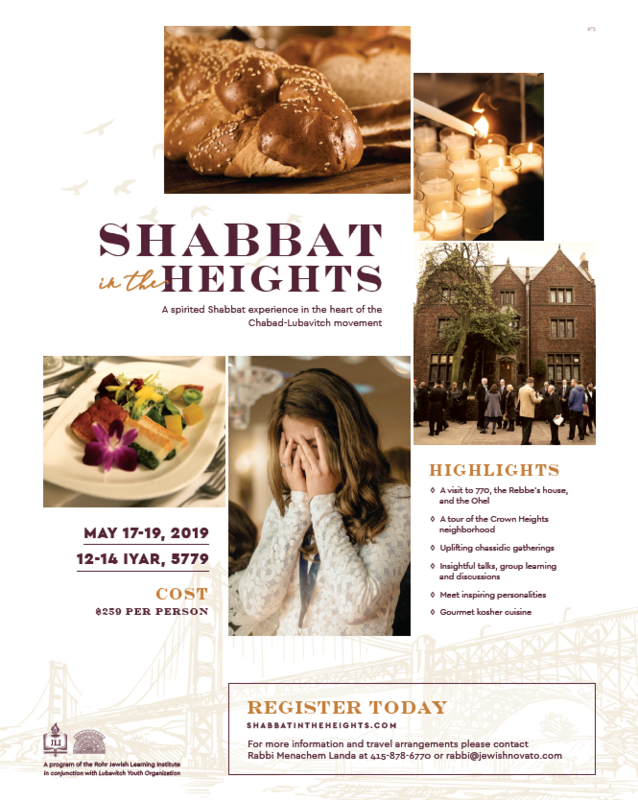 "Shabbat in the Heights" features amazing speakers, insightful learning, a chance to meet local Crown Heights personalities, tours, and a visit to the Rebbe’s resting place. The program will run from Friday until Sunday, and includes all meals with world-class kosher food. It's already the 5th year that this experience has been arranged and it has become very popular. The entire shabbat is just $259, and I have accommodations with a local family for you during the stay (or places to rent if you prefer). I would love for you to join us. You can either see information on the main site and sign up at www.shabbatintheheights.com or even better, call me on my cell 415-312-8385 and we can discuss further. READ TESTIMONIALS>>> from people in our community who joined us last year.